How to calculate date difference in MDX (i.e. similar to DateDiff function in SQL) ? 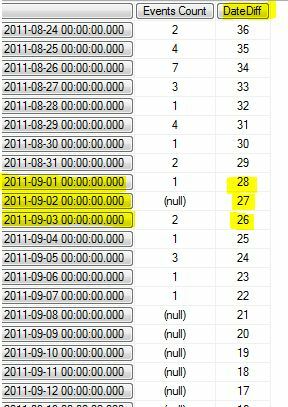 I have a report requirement to display the number of accident near miss events currently open for more than 30 days from the selected month in the @DateMonth parameter. So there is a need to get the last day of the month selected in the @DateMonth parameter. Also a need to get a date difference between the date when the accident occurred and the last day of the month selected. The item(0) is to pick the first item in the array (the [LastDayOfMonth] calculated set). To get a date difference between the accident date and today’s date, use Now().